Published on 12 February 2012. 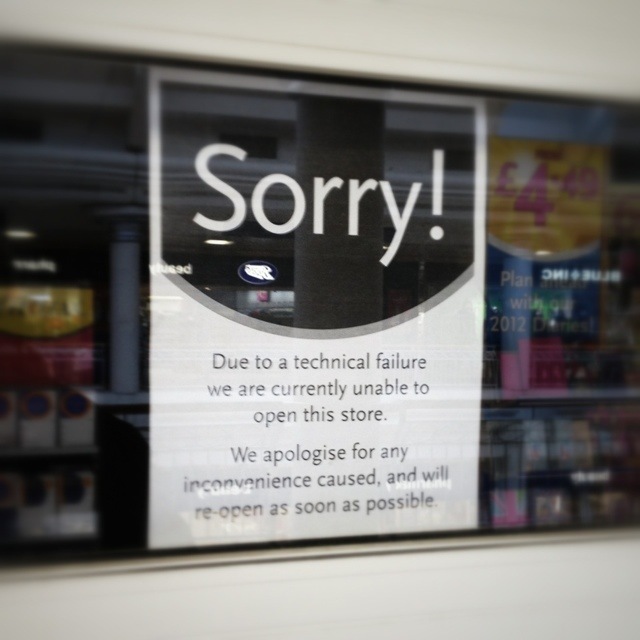 Whoever has the slightly dull task of writing business continuity plans for WHSmith branches might want to revisit their work tomorrow morning: this large two-floor branch in one of Britain’s biggest shopping centres is completely closed today. Frustratingly, they haven’t even managed to point out in their “Sorry” notices that the centre’s other branch is open as usual. This 1,522nd post was filed under: Photo-a-day 2012, Metrocentre, Retail, WHSmith.